Ferraz Shawmut offers the most extensive line of fuses worldwide. This line is matched by our line of fusegear. 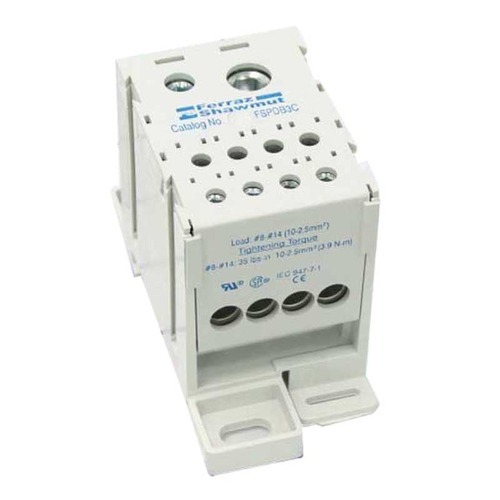 Amp-Trap® UL-CSA fuses line is supported by UltraSafe™ holders line and a complete range of power distribution blocks. For IEC low voltage fuses Modulostar® is a complete and innovative line of holders and disconnectors for ferrule-type fuses, Lindner encompasses numerous solutions of bases, holders, switch-disconnectors for DIN standard fuses, holders also for BS88 standard Blue Dot fuses. Protistor® fuses for power electronics can be mounted in Modulostar® holders and disconnectors when they are of ferrule-type and in IP20 bases when they are of square-body type. Founded in the year 2015, Electro Electric Corporation is one of the principal entities betrothed in supplying, wholesaling, trading an inclusive variety of products comprising Electric Fuses, Incremental Encoder, Electric Motors, Water Cooled Capacitors, Electric Switches, IGBT Devices, Hot Metal Detector Delta, Loop Scanner, Sensors Devices, Bridge Rectifier Modules, Power Semiconductor Devices, Low Voltage Circuit Breaker, Miniature Circuit Breaker, Molded Case Circuit Breaker, Multi Protection Relay, HD Power, Electrical Component, AC and DC Drives, Industrial Fans, DC Tachogenerator, Digital Pyrometer and Pressure Gauge. Made up and designed with supremacy. We assure that only supreme-class basic components altogether with modernized amenities are utilized in their fabrication process. Besides this, the final consignment is well reviewed before final shipment at the end of our clients. We also offer these products in a diversity of sizes and stipulations to meet with our client's specific demands.